ATVs are fun and practical, whether used for recreation or work. 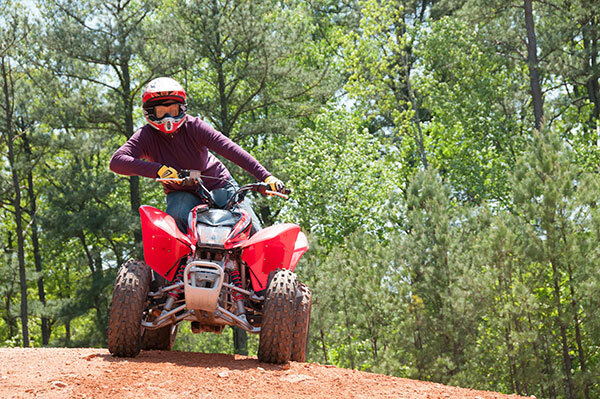 The ATVs your dealership sells, made by our Members, are well-engineered products, and safe when used properly. However, improper use of ATVs has resulted in injuries and deaths – including children – over the past decades. As the vital link between the manufacturer and the purchaser, you’re expected to do your part to ensure the safety of your customers by being well-informed about basic ATV safety principles, rider training, and matching an appropriate ATV to the rider. To that end, one or more of the brands your dealership sells has asked you to complete this online course as part of your employee orientation or ongoing ATV training. To get started, simply click here to CREATE A NEW ACCOUNT and complete the enrollment information to gain access to the course. The course is less than 1 hour long, and you’ll need to pass a quiz at the end to be credited with taking the course.